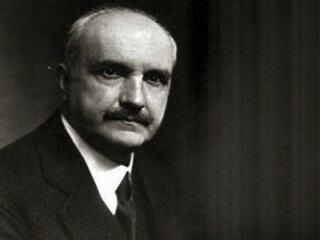 George Santayana, Spanish and American philosopher, developed a personal form of critical realism that was skeptical, materialistic, and humanistic. George Santayana was unique among American and European philosophers during his long lifetime. While others strove to make philosophy "scientific" and to apply philosophy and science to society, Santayana proclaimed, "My philosophy neither is nor wishes to be scientific." He rejected the inherited genteel tradition in American thought as well as his contemporaries' pragmatism, idealism, and positivism. He openly disliked the liberal and democratic drift of Western civilization. In his philosophy he strove to combine philosophical materialism and a deep concern for spiritual values. A prolific writer with a graceful style, he also published several volumes of poetry, and his most popular book was a novel, The Last Puritan (1936). He is singular among American philosophers for the special flavor of his thought and for his treatment of religion and art. As a girl Santayana's mother was taken to the Philippines, where she met and married George Sturgis, a Bostonian. Santayana later observed that this "set the background for my whole life." After being widowed, she tried to settle in Boston with her children but soon returned to Spain and remarried. The only child of this marriage was born in Madrid on Dec. 16, 1863, and christened Jorge Agustin de Santayana. He lived until the age of 9 in a vila with his father, a lawyer and student of painting, then joined his mother, who was raising the children of her first marriage in Boston. Although he visited his father in a vila and traveled in Europe frequently, Santayana lived and wrote in America for the next 40 years. As a boy he was quiet, studious, and lonely. View the full website biography of George Santayana.